I'm a first generation American. After the war, my grandparents emigrated from Hungary to West Germany, where my mother was born. In the 1960s, they immigrated to Cleavland, OH and became naturalized citizens. How I wound up in the deep south is a story for another time. I'm an avid reader, and I mostly read science fiction and fantasy. A shoutout to my favorite author Neal Stephenson. I enjoy video games of all kinds, but mostly platformers and arcade-style games. I love to sink my teeth into a good strategy game or RPG when I have the time. I collect Sega hardware and games. Chess is fun when you play casually, and Go is interesting for a variety of reasons, but what I'm really fascinated with is Arimaa, a game designed to be easy for humans to pick up and play but extremely difficult for computers to master. Constructed languages and writing systems fascinate me. I've designed a writing system, and I know just a bit of Lojban. coi rodo .i la lojban. cinri mi. I love music of all styles and genres (except country.) I especially enjoy progressive rock, my favorite symphony is Mahler's 2nd, and a big shoutout to OverClocked Remix for the literally hundreds of hours of free music. I'm unpublished in but interested in multilinear algebra, category theory, symmetric and inverse limit spaces, computability, and programming language design. In my spare time (I know, right? Who has that?) I'm active in the Auburn puzzle scene as a participant, puzzle designer, and event organizer. 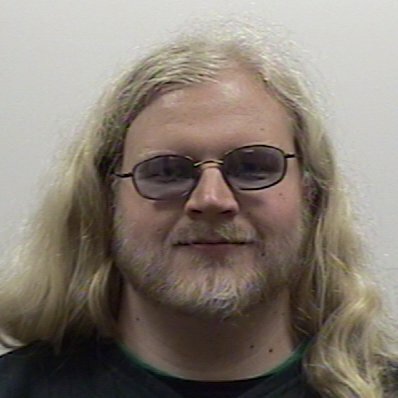 I've become involved in Auburn's AMP'd Challenge and Steven Clontz's Mathematical Puzzle Programs for middle and high school students as a website maintainer, occasional sounding board, and guy who shows up at the meetings for the free food.